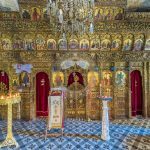 It is the oldest monastery of Skopelos. It was built is 1648 according to the basilica dome design. 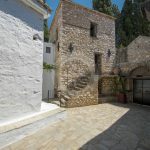 The monastery of Agia Varvara, on Skopelos island, is built with stone and is enclosed by a tall wall which is meant to blend into its surroundings. 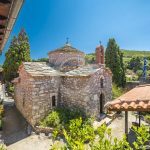 Many claim that Agia Varvara Monastery was an observatory for pirates and other invaders of the island. 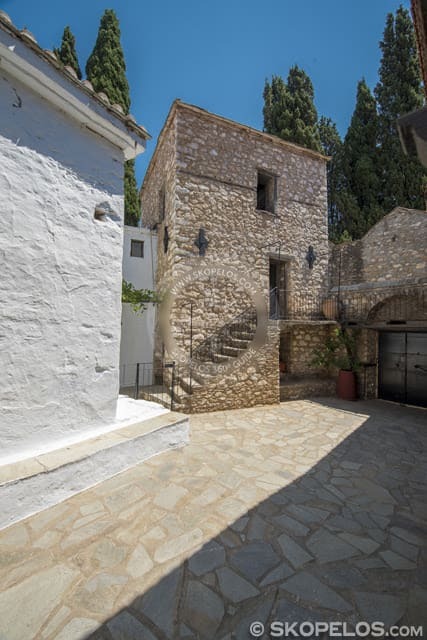 Since its location has an amazing view of the Aegean Sea and the island of Alonissos. 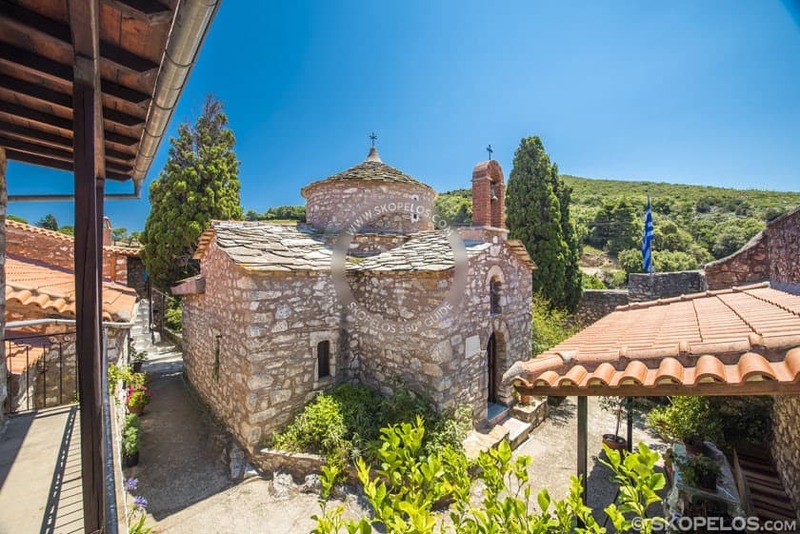 Actually, the monastery of Agia Varvara, is the oldest monastery of Skopelos. It was built is 1648 according to the basilica dome design. 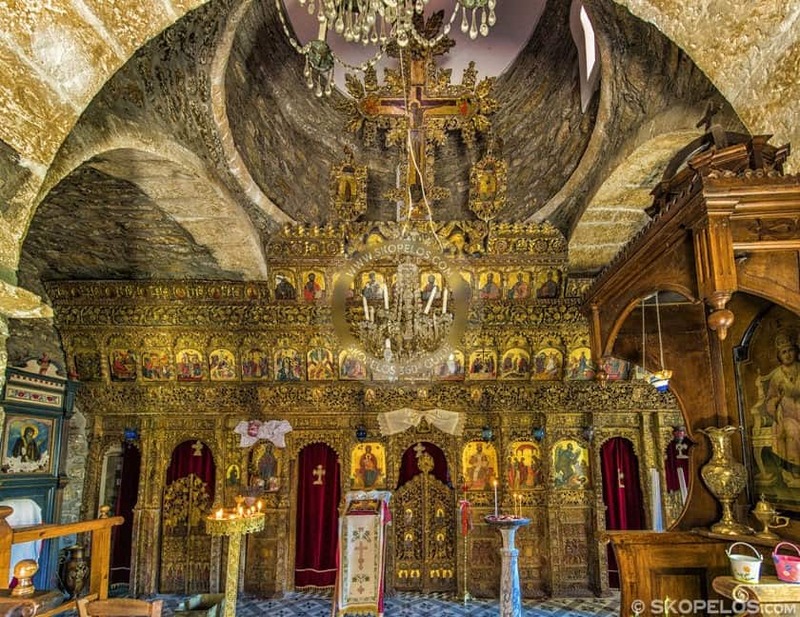 The temple of the church is gold-plated and adorned with decorative flowers and vine leaves. 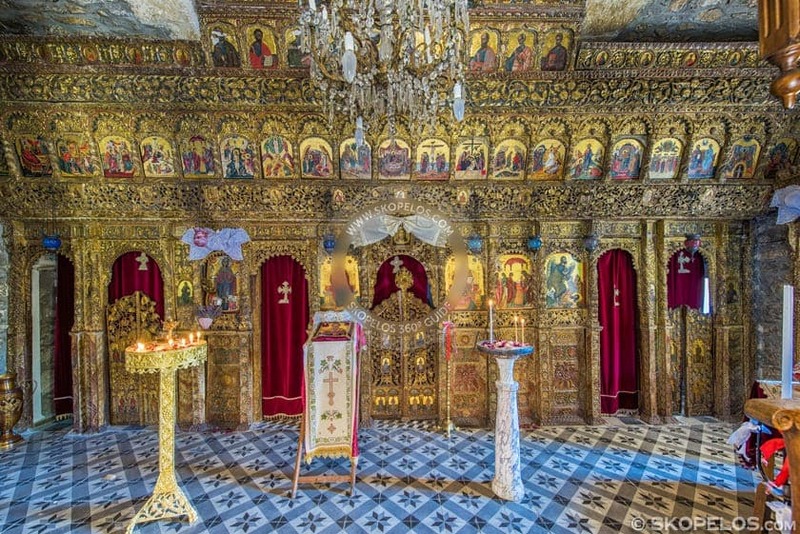 Furthermore, the monastery of Agia Varvara, on Skopelos island, celebrates on the 4th of December. In fact, on that date, it is nice to visit the monastery. Directions: From Skopelos Town drive on the coastal road towards Mountain Palouki. At the end of the road, turn left and follow the signs to Iera Moni of Sotiros. Make sure that when you get to the fork on the road you keep to your right. 1.7 km or about a five minute drive on the same road will get you to the monastery of Sotiros. To get to Agia Varvara you must continue on the same road that eventually will turn into a dirt road. Make sure though that at the end of the asphalt you take a sharp left up the hill. 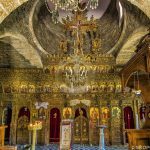 In about a kilometer you will be at the monastery of Agia Varvara.